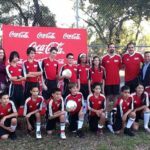 I was recently invited by my amiga Natalie Boden in Miami to see the launch of a wonderful new program being presented by Coca Cola for Latino and urban youth across key communities nationally: Coca-Cola Club Balón Rojo. The program provides youth from the Boys & Girls Clubs in cities being visited by the Mexican National Team, with the chance to serve as ball-kids and participate in an educational workshop to better their skils and futures. It was the first time that I went to a program with my tween daughters to directly obtain their feedback and ideas. They are quickly becoming blogger/reporters themselves- so much fun watching them blossom! I enjoyed seeing what interests them at this ‘special age’ and what activities caught their attention. The highlight was meeting Fernando Fiore of Univision and futbol fame @FernandoFiore. Just hearing his voice with the ‘goallllll’ was too much fun! 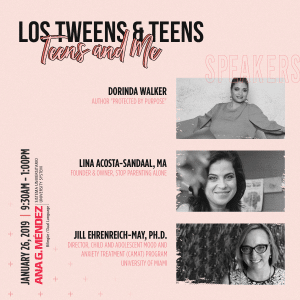 Since I’m always seeking ‘cultural moments’ that help me continue helping my girls develop their “media Latina” identity- this was a great opportunity! I hadn’t been to the Miami Boys & Girls Club facility in several years- it’s a wonderfully, well maintained facility offering a safe after-school program solution for many Latino and urban families. The kids seemed to be enjoying themselves as parents kept coming in for pick-up time. The kids quickly took to the field- boys AND GIRLS I noticed! They were led in a ‘clinic’ style learning class by futbol playing legend Marcelo Balboa. 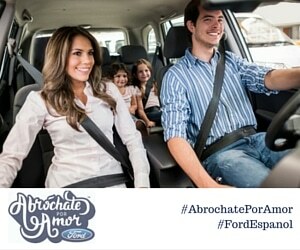 I’m glad I attended on behalf of LosTweens and Hispanicize as we get to know brands that are creating Latino-inspired community programs with an emphasis on communicating information about them via social media channels and blogs. As a mother of tween twins who are very active- I know first hand that sports- and Team sports– are such a terrific learning opportunity aside from the obvious physical benefits. Be sure to watch for the clinics as they travel to a Boys & Girls club in your community- tour cities include …Houston, New York (May 27), Chicago (May 31st), Dallas (June 3rd). The age emphasis for the program does hover around our Tweens (7-12 year olds) or early teens- so check it out! 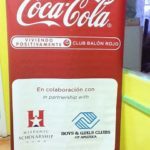 This entry was posted in Raising Tweens and tagged Balon Rojo, blogging, Boys & Girls Club, Coca-Cola, futbol, soccer, sports, Tweens. Bookmark the permalink.